166 peo­ple were killed in the twin attacks on the Taj Mahal Hotel and the Tri­dent Oberoi Mum­bai. There were twin bomb­ings in Jakar­ta Hotels name­ly Ritz Carl­ton and Mar­riott. Sui­cide bombers killed 8 per­sons and maimed 50. The 26/11 ter­ror­ist attack on the two Mum­bai Hotels — The Taj and The Oberoi Tri­dent was major­ly respon­si­ble for expos­ing the vul­ner­a­bil­i­ty of the hos­pi­tal­i­ty indus­try to such mali­cious man-made attacks. But has the inci­dent changed the per­cep­tion of the hos­pi­tal­i­ty sec­tor regard­ing their vul­ner­a­bil­i­ty to such attacks and secu­ri­ty inci­dents? The writer takes stock of secu­ri­ty enhance­ment in the hos­pi­tal­i­ty sec­tor, which has in recent times become a prime tar­get of ter­ror­ist attacks and laments the atti­tude of try­ing to do the bare min­i­mum essen­tial to meet reg­u­la­to­ry require­ments. Hotel secu­ri­ty in India is def­i­nite­ly in a state of high alert. A vis­it to the Taj Mahal Hotel will make you aware of how the hotel has become a fortress. Oberoi Tri­dent, which we hap­pened to vis­it in Jan­u­ary 2011, appeared to have tak­en steps to ame­lio­rate upon the secu­ri­ty sur­veil­lance sys­tems. The 26/11 attack has changed the per­cep­tion of secu­ri­ty in the hos­pi­tal­i­ty sec­tor. 166 peo­ple were killed in the twin attacks on Taj Mahal Hotel and Tri­dent Oberoi. There were twin bomb­ings in Jakar­ta Hotels name­ly Ritz Carl­ton and Mar­riott. Sui­cide bombers killed 8 per­sons and maimed 50. The 26/11 ter­ror­ist attack on the two Mum­bai Hotels – Hotel Taj and Hotel Oberoi Tri­dent was major­ly respon­si­ble for expos­ing the vul­ner­a­bil­i­ty of the hos­pi­tal­i­ty indus­try to such mali­cious man-made attacks. The inci­dent gar­nered glob­al atten­tion as coun­tries across the globe con­demned the inci­dent. It took a while for the two hotels to refur­bish their premis­es and resume their oper­a­tions. But has the inci­dent changed the per­cep­tion of the hos­pi­tal­i­ty sec­tor regard­ing their vul­ner­a­bil­i­ty to such attacks and secu­ri­ty inci­dents? I was recent­ly stay­ing at Hotel Keys in Thiru­vanan­tha­pu­ram and was amazed at the secu­ri­ty arrange­ments in the hotel. Instead of a key, the hotel gave me an access card. This card had to be insert­ed into a slot in the lift — only when the green light blinked could one press the floor num­ber on the lift. The access card had to be insert­ed into a slot inside the room to get the pow­er con­nec­tion into the room. An inter­est­ing aspect was that the instruc­tions about fire safe­ty were cogent — par­tic­u­lar­ly the sug­ges­tion to crawl at the time of fire to avoid get­ting suf­fo­cat­ed from smoke. This was a rev­e­la­tion. The hotel was built post 26/11. The guest man­ag­er admit­ted that the 26/11 inci­dent did push them to look at the secu­ri­ty aspects in the design more force­ful­ly. Hotel La Mar­vel­la at Jayana­gar, Ban­ga­lore has built a state-of-the-art facil­i­ty where the cus­tomer is spoilt for choice by way of state-of-the-art mod­ern secu­ri­ty sur­veil­lance sys­tems. Not just that, the hotel seems to be a per­fect blend of aes­thet­ics and secu­ri­ty. Gad­gets like CCTV Sur­veil­lance should serve as proac­tive tools to avoid a dis­as­ter but in real­i­ty, their usage is more reac­tive — to help the police nab the crim­i­nals. Mod­ern day crim­i­nal ele­ments do not seem to con­sid­er gad­gets like CCTV as a deter­rent. The per­son who warned peo­ple in VT sta­tion not to pro­ceed in the direc­tion where the ter­ror­ist Kasab was sta­tioned did dis­play tremen­dous pres­ence of mind that helped save lives. Tech­nol­o­gy may have advanced a lot, but nobody can dis­miss the impor­tance of human ele­ment in avert­ing such inci­dents. The 26/11 ter­ror­ist attack on the two Mum­bai Hotels — Hotel Taj and Hotel Oberoi Tri­dent was major­ly respon­si­ble for expos­ing the vul­ner­a­bil­i­ty of the hos­pi­tal­i­ty indus­try to such mali­cious man-made attacks. The inci­dent gar­nered glob­al atten­tion as coun­tries across the globe con­demned the inci­dent. It took a while for the two hotels to refur­bish their premis­es and resume their oper­a­tions. But has the inci­dent changed the per­cep­tion of the hos­pi­tal­i­ty sec­tor regard­ing their vul­ner­a­bil­i­ty to such attacks and secu­ri­ty inci­dents? Per­ci­val Edward, a secu­ri­ty expert based in Ban­ga­lore says that the actions tak­en by hos­pi­tal­i­ty sec­tor post 26/11 were more of knee-jerk reac­tions. Installing secu­ri­ty sur­veil­lance sys­tems is not enough. Installing effac­tive secu­ri­ty sur­veil­lance sys­tems cou­pled with cre­at­ing aware­ness among the hotel staff by way of inten­sive train­ing is what is need­ed. Design aspects deserve greater atten­tion. Anoth­er secu­ri­ty expert says that some of the hotels try to cut cor­ners by installing less­er num­ber of cam­eras than what is required. Much less atten­tion is paid towards minor details like posi­tion of the cam­eras, the cap­tur­ing and stor­age of images, train­ing, retrieval of images, cap­tur­ing mov­ing objects with excel­lent pre­ci­sion and installing cam­eras in com­mon areas like lob­bies, recep­tion etc. Though both Taj and Oberoi Tri­dent have tak­en strin­gent mea­sures to restore their premis­es and beef up the secu­ri­ty, the same can­not be said about the oth­er mem­bers in the hos­pi­tal­i­ty sec­tor in India. Fire safe­ty and secu­ri­ty sur­veil­lance must go beyond the need to “com­ply”. We are a very com­pli­ance ori­ent­ed nation. We wear hel­mets while dri­ving a two-wheel­er because there is a penal­ty if we do not wear it. Very few wear hel­mets because they are safe. In a like­wise man­ner, the hotels should build fire safe­ty and secu­ri­ty sur­veil­lance as hygiene fac­tors in their oper­a­tions. It is not enough to do some­thing to meet codes and stan­dards or to get a “No-objec­tion” cer­tifi­cate from the fire depart­ment author­i­ties or the munic­i­pal author­i­ties. Worse is the fact that hos­pi­tal­i­ty sec­tor does not believe in reg­u­lar annu­al main­te­nance con­tracts with the ser­vice providers. Says Chetan Nagap­pa who works for a secu­ri­ty organ­i­sa­tion, “At the end of the day every­thing boils down to cost. The hotel author­i­ties will remem­ber the ser­vice providers only when there is a prob­lem; they are so intent on tight­en­ing their purse strings on mat­ters relat­ed to safe­ty and secu­ri­ty that this atti­tude shocks us”. The hos­pi­tal­i­ty sec­tor should look at the con­se­quences in the after­math of an acci­dent. How will it impact their brand? How long will it take to rebuild the hotel in case of prop­er­ty dam­age? Glob­al insur­ance com­pa­nies like FM Glob­al do talk about resilience — the abil­i­ty to bring back a dam­aged prop­er­ty back to shape, but in India, the insur­ance com­pa­nies seem to be more con­cerned about loss­es and claims. Our ques­tion is — why not look at pre­ven­tion through robust risk man­age­ment and pru­dent under­writ­ing norms? The sit­u­a­tion in some of the less­er known sec­ond rung hotels is even more alarm­ing. It doesn’t help that there is not a sin­gle des­ig­nat­ed author­i­ty to con­duct peri­od­ic checks or audits. One is not sure if hotels have a dis­as­ter response plan in place. Nagesh, a secu­ri­ty expert based in Ban­ga­lore, feels that there are very few peo­ple who have realised the need to make their prop­er­ties fail-safe or secu­ri­ty safe. He agrees that there are lim­i­ta­tions that the hos­pi­tal­i­ty sec­tor faces in terms of fool­proof secu­ri­ty mea­sures. Secu­ri­ty has always been on top of the agen­da in the 5-star and high­end hotels, but the 26/11 inci­dent has made them realise the impor­tance of main­te­nance. Nagesh regrets that oth­er than these top-end hotels, the efforts of the mid-range and low­er range hotels in the hos­pi­tal­i­ty sec­tor to improve the secu­ri­ty mea­sures are only for name­sake. Wind­sor Manor hotel in Ban­ga­lore refur­bished their secu­ri­ty sur­veil­lance post the 26/11 inci­dent. He says that ear­li­er hotels neglect­ed main­te­nance but after 26/11 they have realised that main­te­nance is impor­tant too. 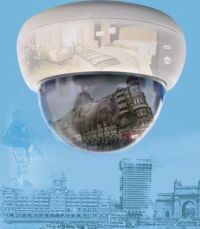 Accord­ing to Nagesh, the mid-range and low­er-end hotels install CCTVs only to com­ply with reg­u­la­to­ry norms. He even adds that most of the 5-star hotels are not aware of what they exact­ly need. So, the think­ing of the hos­pi­tal­i­ty sec­tor has to change. The think­ing should not be restrict­ed to look­ing at the cri­te­ria required or meet­ing the norms. The need to install secu­ri­ty sys­tems under pres­sure from Fire Depart­ment or legal cell should be replaced with the need to enhance secu­ri­ty sur­veil­lance to take care of their employ­ees, guests, their prop­er­ties and also the sur­round­ing prop­er­ties. The build­ings adja­cent to such hotels are also sub­ject to col­lat­er­al risks. This can­not be ignored. It is strange that the 26/11 inci­dent has not made the Gov­ern­ment or the Home Min­istry announce broad guide­lines about secu­ri­ty to the hos­pi­tal­i­ty sec­tor. More so, when the Gov­ern­ment knows that the ter­ror­ism pool man­aged by GIC Re paid a loss of Rs. 400 crores to the affect­ed par­ties after the 26/11 inci­dent. It is strange that even insur­ance com­pa­nies haven’t done much in this area to press for a manda­to­ry guide­line in all hotels. The insur­ance sec­tor seems to have con­soled them­selves to the fact that — of the loss that was paid, Rs. 300 crores was recov­ered through rein­sur­ance. I feel this sort of think­ing needs to be eschewed. Imag­ine a large coun­try like ours with so many mouths and hun­gry stom­achs to feed spend­ing crores of rupees on pay­ing insur­ance claims for five star hotels. Just imag­ine, the cost of set­ting up an appro­pri­ate safe­ty and secu­ri­ty sur­veil­lance in a lux­u­ry 5-star hotel won’t even be 1 per cent of the claim amount paid by GIC Re from the ter­ror­ism pool. Yet, the reac­tion of the hos­pi­tal­i­ty sec­tor in the after­math of the 26/11 inci­dent con­tin­ues to be luke­warm. While some hotels are using the tags of “Eco­tel” hotel, “Green Hotel” as a means of enhanc­ing their brand equi­ty, it is inscrutable that they do not bandy about safe­ty or secu­ri­ty as a com­po­nent of their brand. While no one expects them to divulge the inter­nal details of what they have done in terms of upgrad­ing their secu­ri­ty sur­veil­lance, at the min­i­mum, some state­ments from some of the big play­ers in the hos­pi­tal­i­ty sec­tor would have trig­gered actions from the sleep­ing mem­bers of the hos­pi­tal­i­ty sec­tor. I am sure that this is not a tall order.